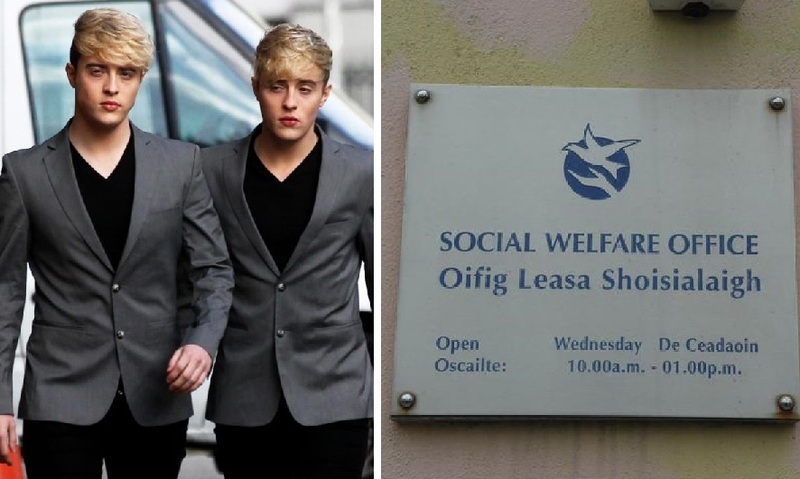 Former X Factor stars Jedward have been told by the department of social welfare that they risk having their dole payments stopped unless they can prove they’ve been actively seeking gainful employment. Anyone in receipt of Job Seekers Allowance may be asked to provide evidence that they have been looking for work and Jedward – who list their skills as jumping up and down and brushing each other’s hair – are no exception. The Dublin twins have faded from the spotlight since they were last seen in public over two years ago when they cut the ribbon at the official opening of an off-licence in Kilbeggan in front of a crowd of over 12 people. The lads remain upbeat however and say they have big plans for the future.